The Sennhesier Momentum and V-MODA M1-00 are two of the more popular noise isolating headphones made today. Both options feature high definition audio performance, as well as satisfying comfort and style. These headphones are built for music lovers who love good sound but aren’t willing to pay a huge premium. Both options are compact and portable, making them good for travel. Today we’ll put them head-to-head, the Sennheiser Momentum vs V MODA M100, and present them for easy comparison so you’ll know which is better for you. Both headphones are designed for maximum style, but in very different ways. The Sennheiser Momentum takes a more sophisticated, and minimalistic style, while the V-MODA M-100 is more about being flashy. With customizable and interchangeable metal plates, the M-100 allows the user to show off their creativity and uniqueness. Plus, the unusual shapes and colors of the rest of the headphones really makes the headphones stand out. On the other hand, the Sennheiser Momentum is designed to be as sleek as possible. These are the kind of headphones that people look at and admire in an airplane’s first-class section. Leather, metal, and plastic all complement each other well, and give professional yet fashionable impression. So, while both pairs are all there in terms of being fashionable, you might want to assess your individual needs and preferences when it comes to comfort and performance. 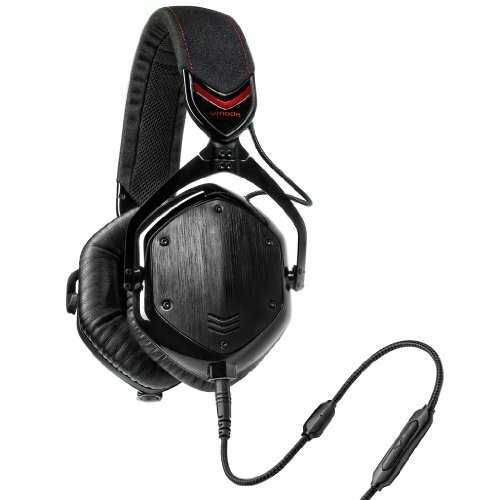 When it comes to comfort, although both are above average, the V-MODA’s really take the cake. The Momentum’s have smaller, thicker ear cups, leaving them less than ideal for long periods of time for those with large ears. Alternatively, the Crossfade M-100 has massive and fully adjustable cups, designed for maximum comfort. Additionally, when it comes to the headband, the M-100 really has an edge. 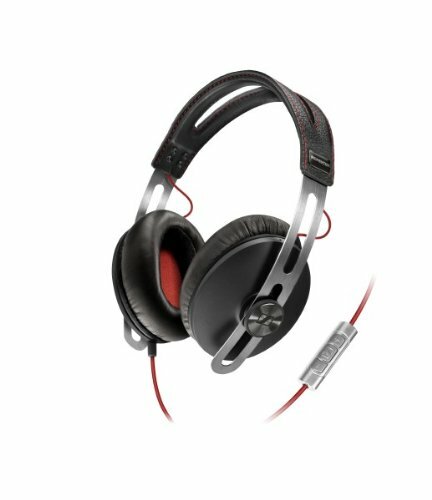 The Sennheiser Momentum has a hard, metal band with a thin covering of leather over it. The M-100, on the other hand, has an ergonomic and flexible headband with a sizable amount of padding. So for comfort on long listening sessions, the winner is clearly the V-MODA M-100. As for portability, both headphones come with a travel case. The Sennheiser comes with a padded, tear drop shaped carry case, while the Crossfade M-100 comes with a neat looking exoskeleton padded case that matches the headphones in style. 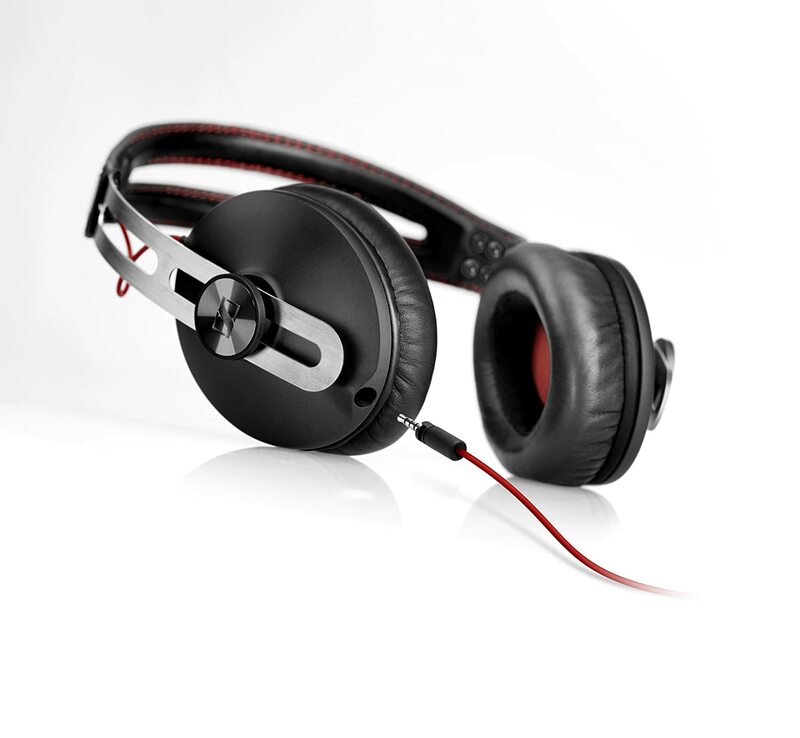 Perhaps the most important factor, the sound quality of both pairs is absolutely fantastic. Both brands are renowned well-known for their excellent audio quality, and as both models are flagship headphones, each company’s top technology is employed in its respective pair. Both pairs of similar technical statistics, with the M-100 having a slight edge in its frequency response range. Both of these pairs are some of the best headphones you can get in terms of audio quality, and even audiophile enthusiasts will be impressed by either pair. The Crossfade M-100 boast an accentuated, yet clean, bass sound with the closed back design offering pretty solid noise isolation. The M-100 is a great choice for enjoying hard rock and music with powerful beats. While the V-MODA Crossfade’s are certainly the more comfortable pair, the Sennheiser Momentum’s are probably the more usable of the two. Some people may find the V-MODA Crossfade’s too be a bit too large to be wearable in a public space, they will draw people’s attention, but maybe that’s what you’re after. The Sennheisers are just the opposite, a cool, clean, sophisticated look which will impress friends but won’t draw too much attention. Plus, outside of hours of prolonged use, they really aren’t that uncomfortable. 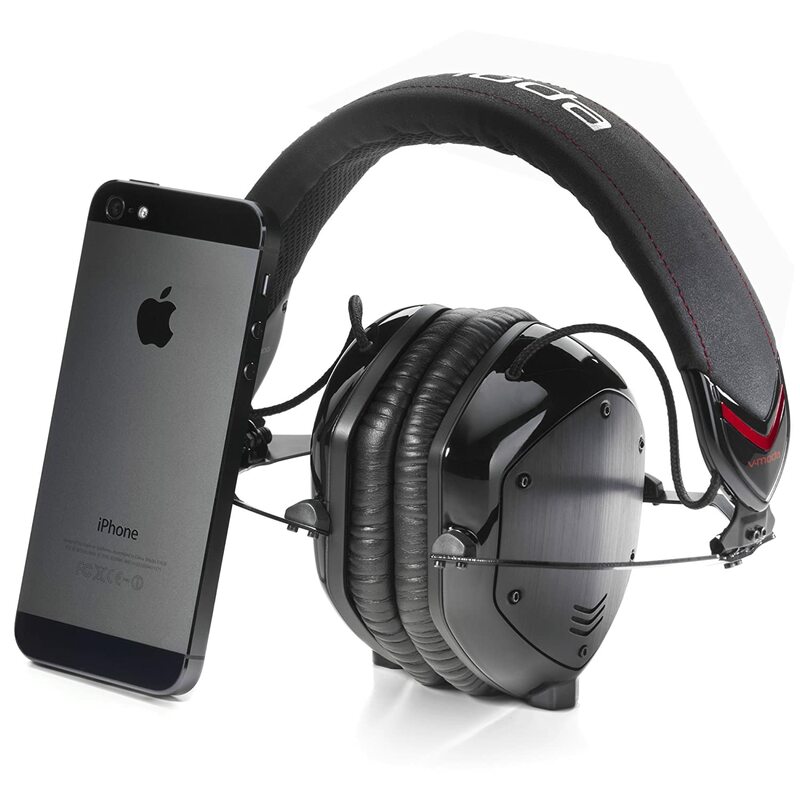 However, for home, office, or airplane use, the V-MODA M-100 can be a great choice. Now, if you’re concerned with audio quality and audio quality only, the V-MODAs are definitely the way to go. Although both pairs have fantastic audio quality, the M-100 headphones are possibly the best you can get. However, the difference is somewhat negligible, so only hard-core audiophiles should choose them based on this alone. While both pairs represent a great choice for the price, the V-MODA M-100s are overall better quality, more comfortable, and higher precision than the Momentum. However, it is a very slim margin, and neither pair should be bought without heavily considering the other. Plus, different users might have different needs. If you’re looking for something for travel, or public use, or perhaps something that you can use in the office, the Sennheiser Momentum may be a better choice, as their streamlined design does not intrude like the M-100 does. But, for home use, they don’t have the level of comfort and usability that the Momentum does. So, weigh your decision carefully, as the best choice for you might be different from this review’s recommendation. Overall, despite being nearly twice the price of the Momentum, our choice is the V-MODA M-100, as their striking looks, comfort, and audio performance would appear make them to be a better choice.